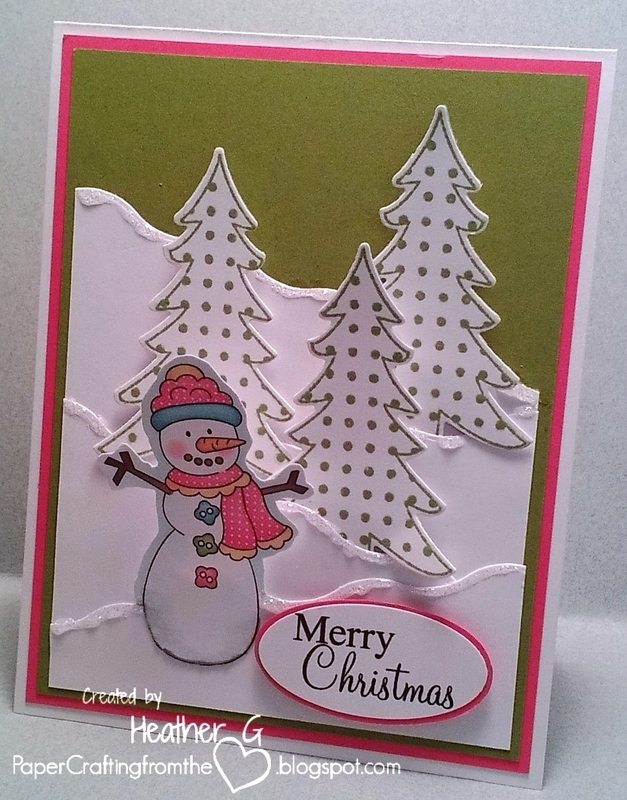 Stop by Christmas Card Challenges to see all the "Snowman" creations. So cute. Love the snowman and the polka dotted trees. Absolutely outstanding, Heather. Love your design! Polka-dot trees -- those are awesome! Perfect with your cute snowman. Love your card...everything...down to the fab borrowed tree stamps. I assure you many a winter scene is like this over the country. Those Christmas Tree dies are so perfect with the snowman! Great layered card Heather. So stinkin' cute. I love the polka dot trees and that adorable snowman.